Code Name Verity meets I Am the Messenger in this riveting YA novel from Morris Award finalist Stephanie Oakes, in which three points of view are woven together in a story that’s part Cold War mystery, part contemporary coming-of-age, and completely unputdownable. Molly Mavity is not a normal teenage girl. For one thing, her father is a convicted murderer, and his execution date is fast approaching. For another, Molly refuses to believe that her mother is dead, and she waits for the day when they?ll be reunited . . . despite all evidence that this will never happen. Pepper Al-Yusef is not your average teenage boy. A Kuwaiti immigrant with epilepsy, serious girl problems, and the most useless seizure dog in existence, he has to write a series of essays over the summer . . . or fail out of school. And Ava Dreyman-the brave and beautiful East German resistance fighter whose murder at seventeen led to the destruction of the Berlin Wall-is unlike anyone you?ve met before. When Molly gets a package leading her to Pepper, they?re tasked with solving a decades-old mystery- find out who killed Ava, back in 1989. Using Ava?s diary for clues, Molly and Pepper realize there?s more to her life-and death-than meets the eye. Someone is lying to them. And someone out there is guiding them along, desperate for answers. 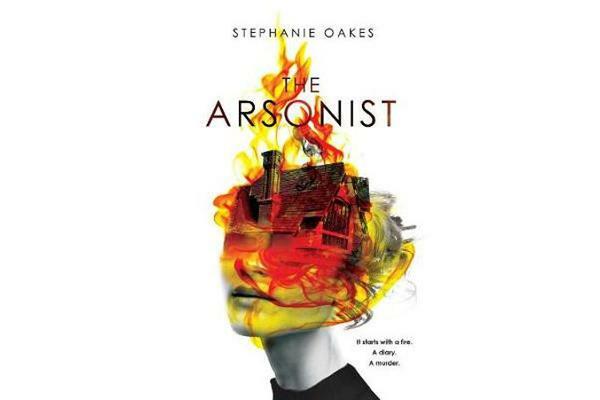 At turns heart-racing, hilarious, and heartbreaking, The Arsonist is an intricate tapestry-of love, loss, and the mysterious connections between us all.